After generations building communities in Edmond Oklahoma, McCaleb Homes is known for its unique landscapes and quest for the perfect land. We found our prize in the Cross Timbers area of East Edmond within a stone’s throw of Arcadia Lake. When this particular parcel became available, we cherry-picked the nicest piece of the estate to create The Falls. The Falls provide easy access to recreation for home owners just steps from Lake Arcadia. With wonderful camping, skiing, boat docks, and hiking and biking trails the possibilities are endless for family entertainment. The beauty of nature surrounds you at The Falls with wonderful wildlife coexisting in your natural surroundings. From flocks of wild ducks and migratory water fowl, to deer and wild turkey, naturalists will fall in love. Our home owners also have future access to the new Arcadia trail system being installed by the Army Corps of Engineers. First impressions are everything, and as you drive into the community you will immediately be struck by the natural setting as the triple tiered waterfall greets you at the entrance. New homeowners at The Falls will be able to take advantage of fishing docks and walking trails around the 5-acre lake the centerpiece of the community. Enjoy the views of the big fountain in the center of the lake, or take out a community paddle boat for some outdoor recreation on the water. Public water and public fire hydrants throughout the community are an added feature not found in many communities along East I-35. We chose The Falls for its rolling terrain and wooded old growth forest on the east side of Arcadia Lake. 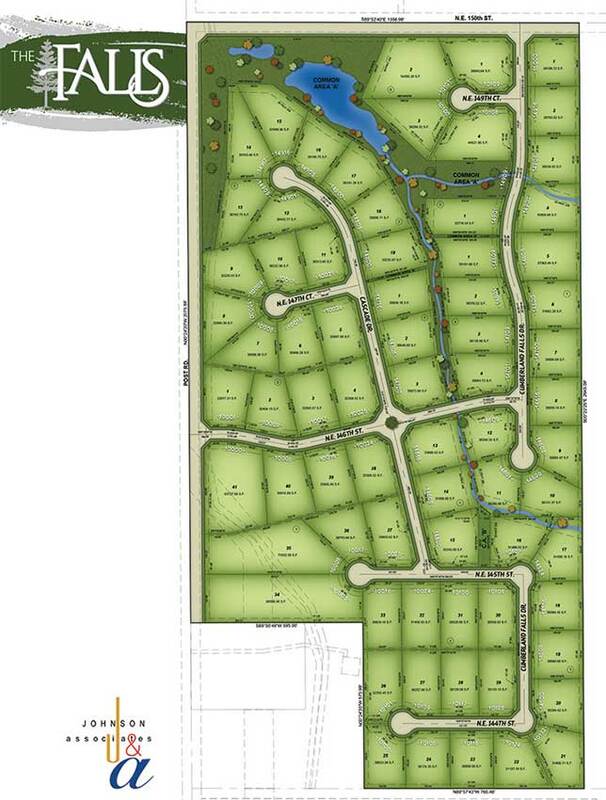 The home sites start from $94,000 and are approximately ¾ by 2-acre wooded lots. The minimum square footage in this community will vary - there will be different sections of minimums being 2,500 square feet, 2,800 square feet and 3,000 square feet. With 72 completely unique locations some will have the perfect view of the water, while others are situated for walk out basements, a rarity in Oklahoma. Choose among our estate collection portfolio designs under The Falls. No two home sites are the same in this community. Talk with Kylie, our Online Sales Counselor and find out more about how to schedule a tour and reserve your lot today.